Refrigeration Energy Saver - Re-Green Bangla Industries Ltd. The world needs more efficient refrigeration...We have the solution. Refrigeration accounts for around 20% of global energy consumption. 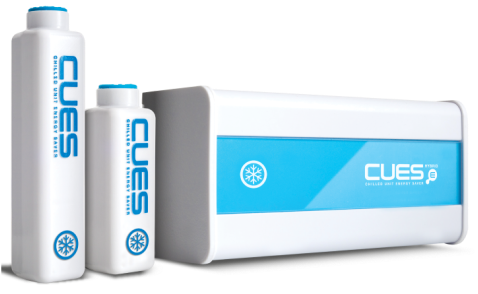 We have considerable experience in reducing the energy demands of refrigeration within commercial applications, regularly achieving savings of up to 33% with CUES Standard. With a range of products designed to work in commercial environments we can help your organization achieve impressive energy savings, improved equipment performance and reliability, as well as enhanced control of the temperature of stored food products. Commercial refrigeration systems are designed to store food products at a pre-determined temperature, in order to extend their shelf life. In almost all cases a thermostat is used to determine changes in air temperature, cycling the compressor on and off to maintain that level. By maintaining the temperature of the air inside the cabinet at a preset level it is anticipated that any stored food will take on the same temperature. However, due to the differing thermal characteristics of air to most food products, air temperature is rarely an accurate measure of food temperature. Each compressor start-up results in high-energy demands. Unnecessary cycling due to fluctuations in air temperature results in unnecessary energy demands. Over-sizing of the motor and compressor results in the refrigeration system using more energy than required, even during normal operating conditions. 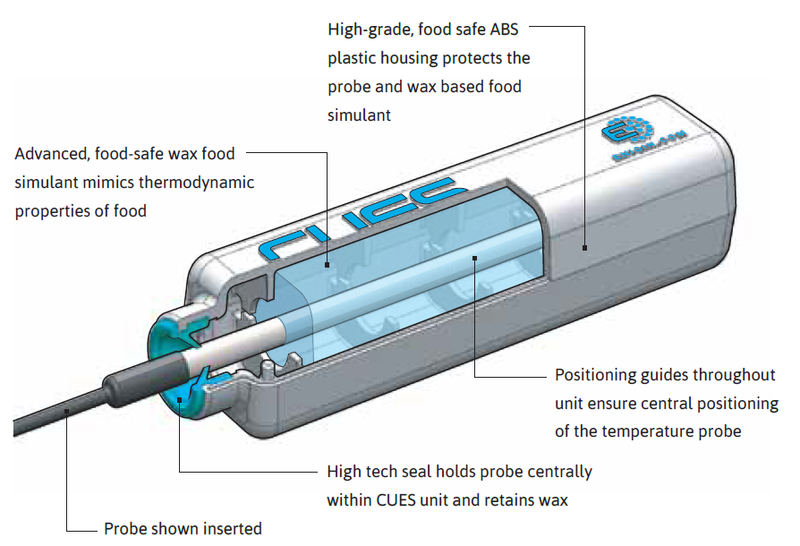 The CUES Standard is a simple retrofit device that contains a high-tech food simulant with the same thermal characteristics (thermal conductivity and thermal mass) as typical food products. The CUES Standard unit is placed directly over the existing thermostats (thermistors or probes) within the refrigeration system, ensuring that the refrigerator reacts to changes in food temperature, not air. ​This results in a more efficient refrigeration cycle, where the individual compressor cycle lasts longer but frequency is reduced by up to 80%. 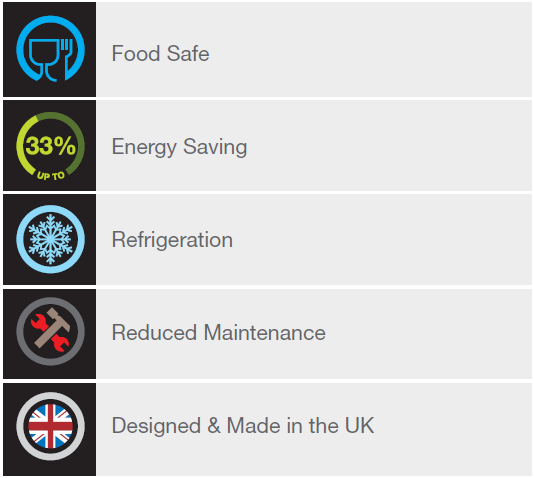 This results in energy savings of up to 33% without any compromise to food safety and quality.